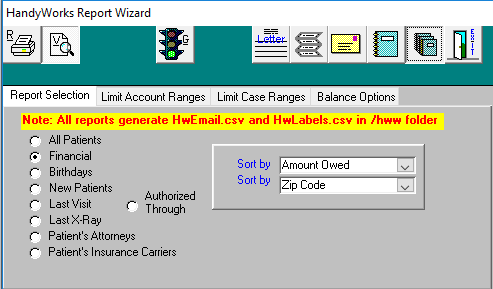 Over the course of time, users have entered hundreds of carriers, many of which differ only by a slight difference in a physical mailing address. For the most part, if one is doing electronic claims, all of these carriers have the same payer ID and that having multiple carriers is simply unneeded. In older versions of HW, we provided a utility to transform one carrier to another, but this is slow and tedious when there might be a dozen or so more to transform. 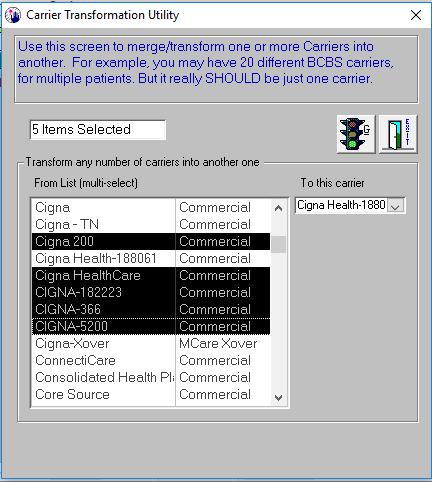 So we enhanced the conversion process by providing a change from list box that lets you select more than one carrier at a time to transform. Simply select with your mouse which carriers need to be transformed and then select what to transform into. Green to go, as usual. Confirmation for each change is still required. 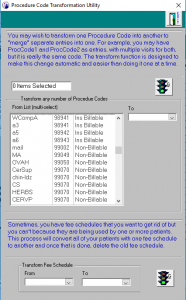 In the same vein, we have added a similar feature to procedure codes. This lets you get rid of old codes by transforming them, in bulk into newer codes.